Disney simply cannot be stopped at the box office. While Finding Dory has been off everyone's radar for a little bit, it just crossed a major milestone with this weekend's take. Finding Dory has just crossed the $1 billion dollar mark at the worldwide box office, which is good enough to make it the fifth highest-grossing animated movie all time. According to Box Office Mojo, as of October 9, the movie has made just over $1 billion, making it the What is perhaps even more impressive is that Finding Dory is only the second Pixar movie to ever accomplish that feat. The only other Disney/Pixar movie to do the same was Toy Story 3, which also made over $1 billion back in 2010. Finding Dory has surpassed its predecessor Finding Nemo, but not by a whole lot. Finding Nemo grossed a total of $940 million at the box office when it was released in 2003, but when adjusted for inflation Finding Dory would still trail by a little bit. Finding Dory is now the highest grossing movie domestically of 2016, but it sits a third worldwide for the year. However, the two movies currently sitting above Finding Dory for the year are also Disney movies. Disney is having a year of unprecedented success in terms of box office. Finding Dory is the third movie that the studio released this year to cross the $1 billion mark. The other two being Zootopia and Captain America: Civil War. Zootopia is currently the second highest-grossing movie of 2016 with an overall take of $1.023 billion. Captain America: Civil War has the honor of being the number one movie of the year worldwide with a very impressive $1.15 billion total haul. Disney also owns the number four spot for the year with their live-action take on The Jungle Book, which also came close to the $1 billion mark, pulling in $966 million. The common thread for all of these movies is that they were very well received by both fans and critics. Finding Dory currently has a 94 percent approval rating from critics on Rotten Tomatoes and an 87 percent audience score. Disney still has a few huge movies coming down the pipe in 2016, which should help add to their insanely impressive take for the year. Doctor Strange is set for release on November 4, with their animated feature Moana set to follow a few weeks later. Perhaps most importantly, Rogue One: A Star Wars Story will hit theaters on December 14. With their upcoming slate, the studio is showing no signs of slowing down. 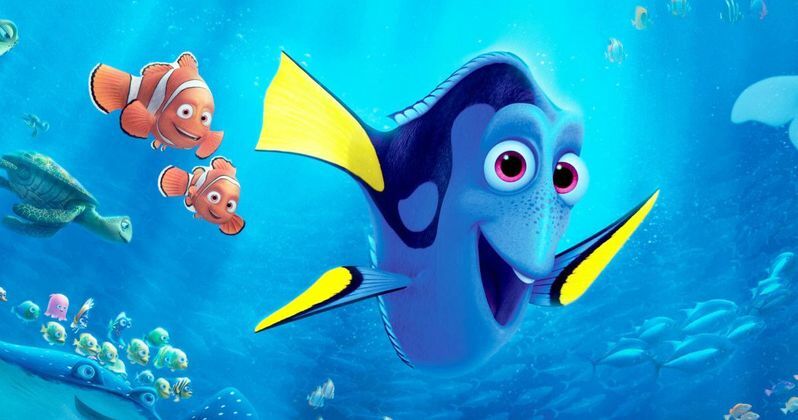 Finding Dory very likely won't be the last movie to set a record for Disney in 2016.